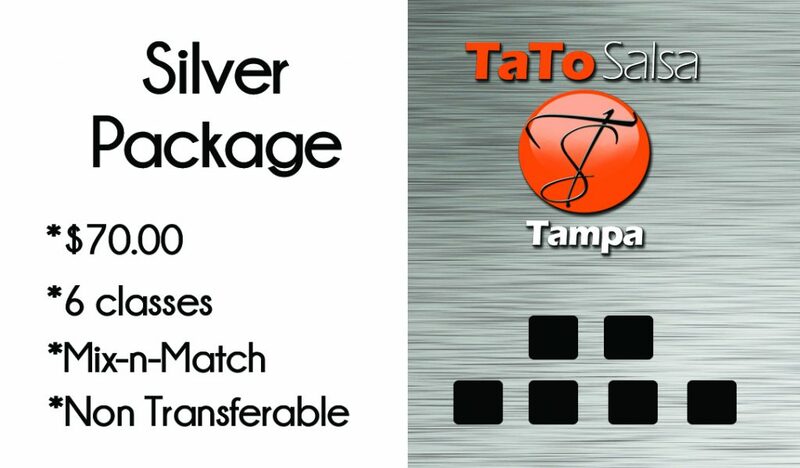 This package will provide the student different options of weekly classes. 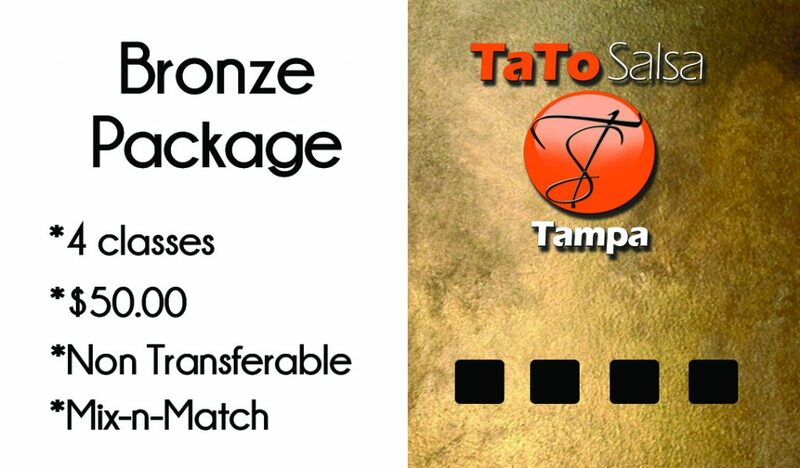 Our bronze package is our basic package for those students that would like to enjoy one class per week. $15 for all our drop-in classes. 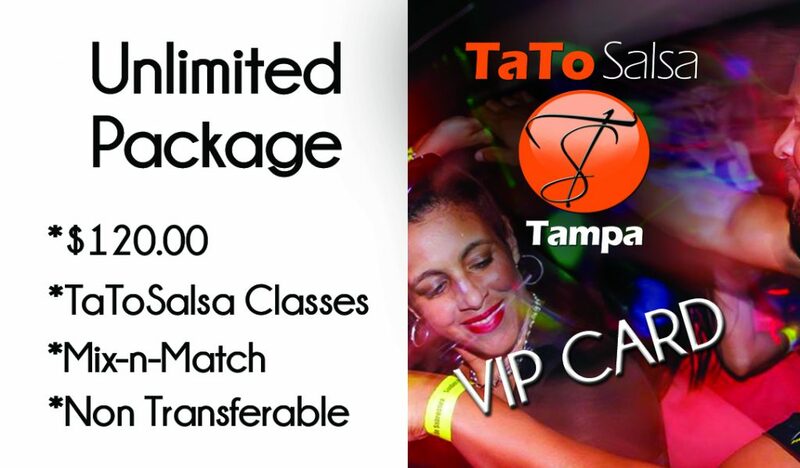 $35 for our beginner 6 weeks progressive Salsa course. 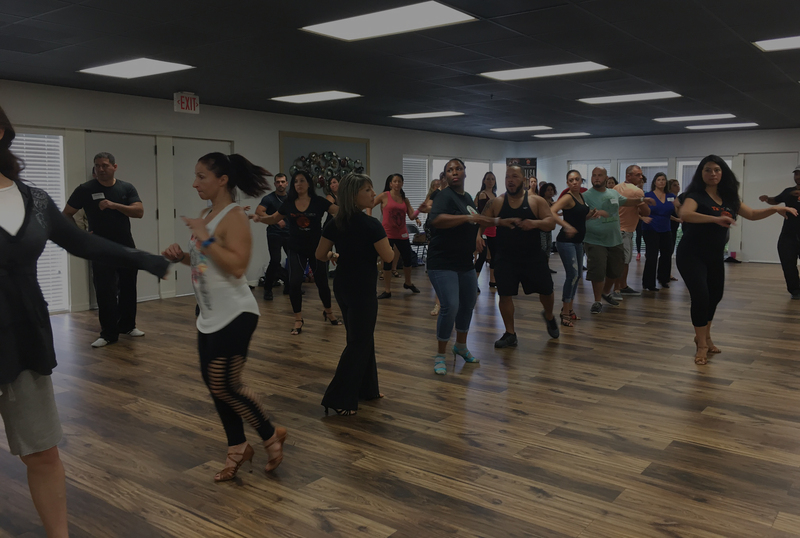 $35 for our beginner 6 weeks progressive Bachata course.